Enjoy the best inspirational, motivational, positive, funny and famous quotes by Alice Taylor. Use words and picture quotations to push forward and inspire you keep going in life! 'The tea is coming!' 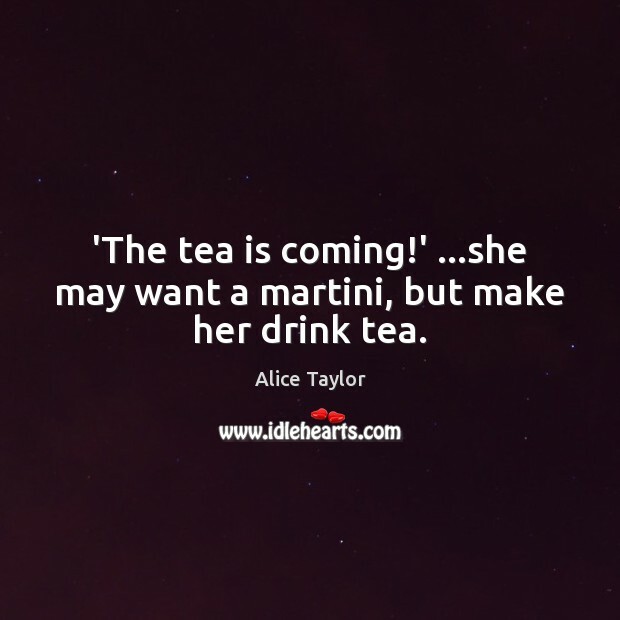 ...she may want a martini, but make her drink tea.